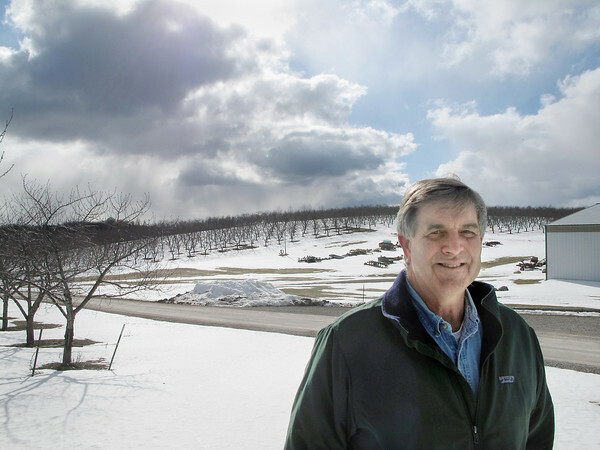 Fruit farmer Don Gregory stands in front of Cherry Bay Orchards in Leelanau County. Gregory said he's seeing increased damage to fruit trees from deer. The male deer, or bucks, are increasingly rubbing their antlers against trees, destroying them.